Veteran Nollywood actress, Gloria Young has put things in place to drag one of the major banks in Nigeria to court. She is not a happy and satisfied customer right now, LOL! The actress claims she was debited by the bank’s ATM machine without dispensing. 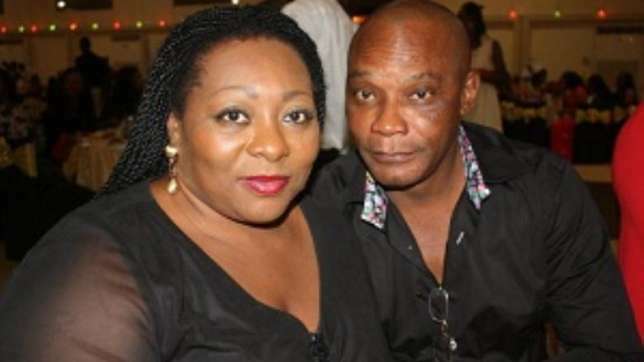 The actress and wife of veteran actor, Nobert Young, has decided to go all out against the bank after waiting for the bank to repay the cash for seven months. Speaking to The Punch, Young said, ‘I went to use an ATM at Ejigbo, close to NNPC bus-stop in Lagos in December. I wanted to withdraw N20,000 but the machine did not dispense the money after debiting my account. I went to the second machine and it paid me. After six days without hearing a word from the bank, I went to complain. I also went to my bank to report the situation. This was in December. I have gone to them so many times to talk about it but all to no avail. ‘Now my lawyer is about to serve them a letter. He has been speaking with them but the bank keeps calling me to beg me instead of paying me my money. The matter has been dragging for too long. I am very angry at my bank because if they cannot fight for me because of N20,000, then they cannot fight for me when it comes to millions of naira. The amount might not sound like a big deal but it can pay some people’s salary. It is not just about me but others who go through similar situations. A letter from my lawyer would soon get to them,’ she said.